For hundreds of years, players from around the world have chosen roulette as their casino game of choice. Roulette originated way back in 17th century France, and it wasn’t long before this game of humble origins had spread across the rest of the world! Today, roulette is one of the pinnacles of the casino experience, and there’s no better way to experience it than by playing online roulette. If you’re an Australian player who’s looking to enjoy this classic game with some big wins to boot, join us today at Ruby Fortune for the best of roulette fun! When you sign up at Ruby Fortune Australia, you’ll be in for so much more than just online roulette games. We’ve taken care to craft our casino to meet our players’ exacting standards, bringing you all the features you could ever need and more. Download our secure casino software today to play on your PC, or try our convenient instant-play casino for your Mac or Linux computer. All of our software and games are licensed by MGA and certified by eCOGRA for added peace of mind. No matter which gaming option you choose, our massive selection of online roulette games and great features will soon help you to enjoy a sensational gaming experience! What about the online roulette games? If you’re an avid player, this will probably be the first question on your mind! Here at Ruby Fortune, we’ve selected Microgaming as the provider of all our casino games, including our dynamic online roulette varieties. 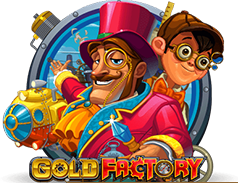 Whether you’re looking for French, European or even American roulette, this world-class developer has it all! Spin your way to victory with Gold Series Roulette or Premier Roulette Diamond Edition, or get the Salon Privé experience at home with Microgaming’s stunning Live Roulette and Live Roulette Multiplayer. You’ll never run out of choices when you play at Ruby Fortune! We at Ruby Fortune love our Australian players, which is why we offer you much more than just a great range of games. We’ve incorporated region-friendly features into our casino just for you so that you can play online roulette without a care in the world. Our banking options have all been selected specifically for Australians, and you’re welcome to deposit in AUD when you play real money roulette with us. Whether you use our credit card, debit card, eWallet or prepaid options, our cutting-edge encryption will keep you and your details safe whenever you choose to play. With so many fabulous online roulette games to choose from, there are endless reasons to register an account and get playing here at Ruby Fortune. However, just in case you needed a cherry on top of the deal, we also offer our exclusive 100% welcome match bonus to our new Australian players. 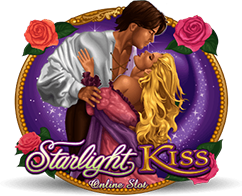 Sign up today and be part of the rich history and rich winnings of online roulette!